We fear the things we don’t understand. It’s true. Think about anything you fear and you’ll conclude that you don’t understand enough about it. At the top of the list for many is death. I know people who won’t even talk about death for fear of hastening it. But, death doesn’t happen by talking about it. If it’s true that we fear what we don’t understand, then it should follow that if we understand death that we won’t fear it any longer. But, it’s impossible to know everything about death, so it’s reasonable that in the gap we might still know some fear. What, then, can we do to mitigate our fear? Remember. Write a will and remember the people and the causes that are dear to you. Depending on your estate, a lawyer or standard forms can begin the process of recording your wishes for what will happen to your assets. Call Congregation Beth Israel and speak to Lory Conte, Development Coordinator, to leave a bequest to the Beth Israel Endowment. It’s a secure way to ensure the future of your synagogue for your family and friends. Engage. Though it should be years from now, the role of your rabbi places a significant part in helping you near the end and guiding your family. Why be a stranger to your rabbi? Time together now can be spiritual and educational, as well as friendly and fun; they’re not mutually exclusive. The three words create an acronym: PRE. Before it happens and in advance of any urgent needs, take time to prepare, remember and engage. Those who have prepared, remembered and engaged have told me that they feel better about the future. No one is perfectly ready, but to mitigate fear with greater understanding about what will happen, who will take care of you and your family, and how you will be remembered is part of your obligation to choose life. By contrast, families who have no plot, no plans, and no rapport discover that, in addition to their grief, they feel like strangers navigating in a strange land. Even the support of the rabbi, while enormously helpful, is felt less keenly because of a lack of rapport and knowledge of Jewish customs. It can all be prevented with a few steps and small efforts to come closer to the last life-cycle we will know. Let’s not hasten death; but, let’s not prolong the fearful feeling that follows us. Congregation Beth Israel is pleased to be intentionally relevant, modern and joyful. 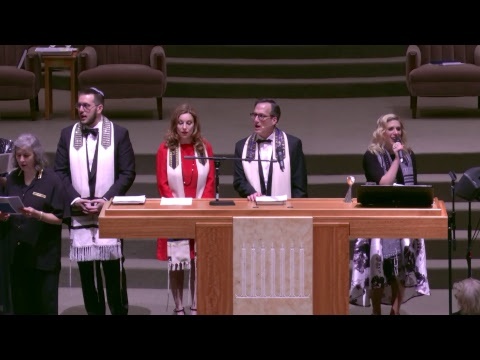 Congregation Beth Israel is also pleased to be engaged with you in every step of your journey in life.